Desktop Darkroom is an authorized reseller. We have three warehouses to best serve our customers. To ensure you receive your orders as soon as possible we will ship from the closest warehouse to your location. We offer free ground shipping to the contiguous United States on all printers and media orders $100 and over. 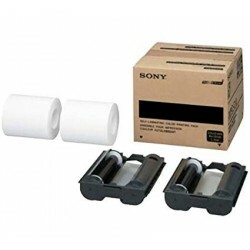 4x6 Print Kit, 2 Rolls, 400 Prints Total..
5x7 Print Kit, 2 Rolls, 344 Prints Total..